Seahawks tight end Jimmy Graham returned to practice on Wednesday, activated off the PUP list. 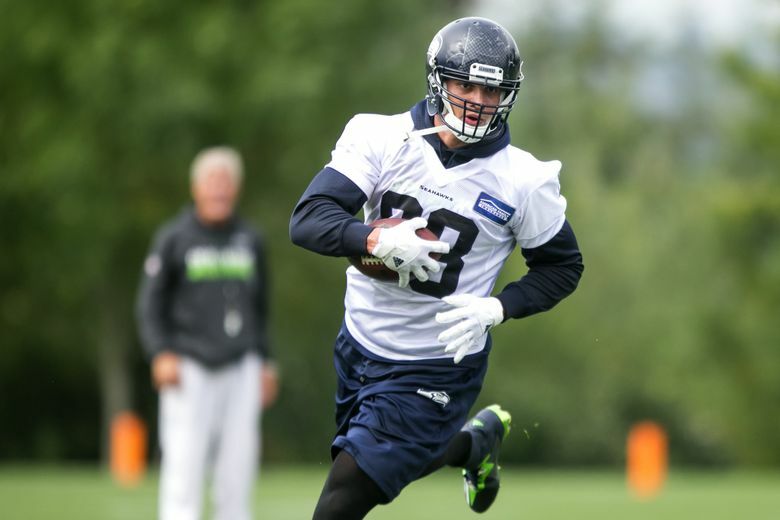 Tight end Jimmy Graham was in a helmet and on the practice field for the Seahawks as they began training camp practice number 10 on Wednesday morning, having apparently been activated off the Physically Unable to Perform (PUP) list. After Tuesday’s practice Graham was on the practice field at the VMAC going through what appeared to be a rather extensive workout with team trainers, possibly a last step toward being cleared to return. Graham ran routes and caught some passes during early individual work in Wednesday’s practice. Graham suffered a torn patellar tendon injury in a game against the Pittsburgh Steelers on Nov. 29 and had surgery three days later. The Seahawks have consistently said that they expect Graham to be ready for the start of the regular season. Carroll many times has praised the rehab work of Graham as has general manager John Schneider. Running back Thomas Rawls was activated off the PUP list on Sunday and returned to practice on Tuesday. They were the only two Seahawks to begin the season on the PUP list. Graham was acquired in a blockbuster trade prior to the 2015 season with New Orleans, in which center Max Unger was sent to the Saints (Seattle also sending a first-round pick while getting a fourth). Graham had 48 catches for 605 yards and two touchdowns when he was hurt in what was the team’s 11th game of the season. Receiver Doug Baldwin, who had been out the last week after having his Achilles stepped on in practice, was also back on the field Wednesday.